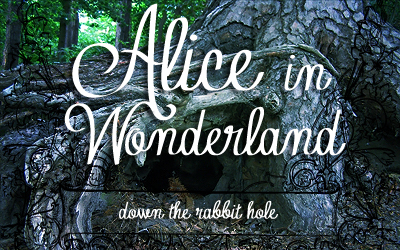 In Chapter Six, Alice visits the house of the Duchess and has a talk with a Cheshire Cat. Musical Credits go to Kevin MacLeod. This is an audiobook featuring music and sound effects and is read by April Sadowski. Go to the main page to download a PDF companion book to read along (you don’t even need to download the audio either – it’s embedded). 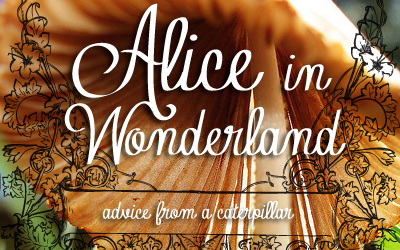 In Chapter Five, Alice requests advice from a Caterpillar and then runs into a Pidgeon who mistakes her for a Serpent. 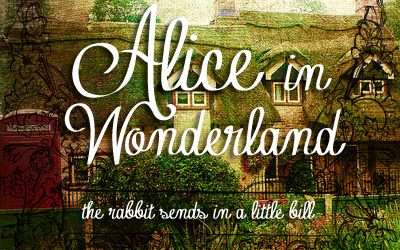 In Chapter Four, Alice adjusts her size to the point of being stuck in a house. The Rabbit sends in Bill to remove her. Lastly, she meets the Caterpillar. Musical Credits go to Dominik Senn, J.S. Manuel, Fabrizio Paterlini, and Francesco Stablum. 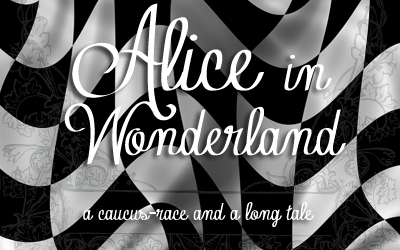 In Chapter Three, Alice participates in an event to make them all drier as well as coming up with prizes for the winners. She also offends the mouse (again, oh dear!). Download PDF book with embedded audio to read-along! 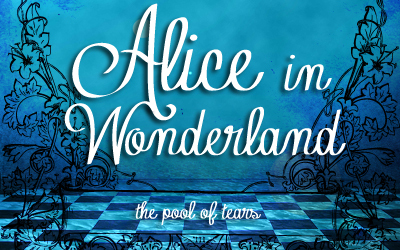 In Chapter Two, Alice has the horrible habit of offending a mouse, swimming in the pool of tears she created when she was over nine feet high. 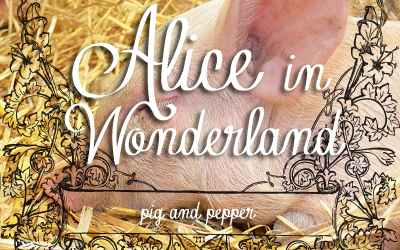 In Chapter One, we see Alice, bored as ever, noticing a white rabbit running away and speaking. Curious to see what’s the matter, she follows the rabbit down the hole and discovers she’s falling and ends up in a room with a series of doors. Chapter Cover Photo is by chop-stock.